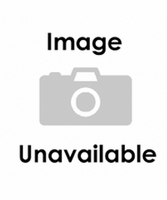 At FastoolNow.com, we carry a wide selection of Reelcraft hose reels to help you get the job done easier-no matter what the task is. A retractable air hose reel by Reelcraft features a compact design that makes them easy to use and easy to store. 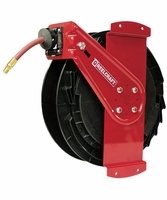 A retractable hose reel by Reelcraft is capable of being mounted in truck cabinets or virtually any space with ease. 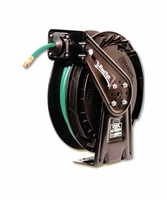 Reelcraft hose reels are built to withstand industrial and commercial use, while lasting longer than other reels on the market. 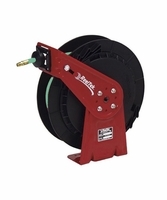 Reelcraft hose reels are also designed to work with both air and water hoses, making them a versatile choice for contractors, builders, mechanics, welders, and other craftsmen. 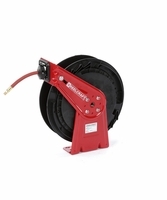 We guarantee you'll find the right retractable hose reel for the job in our selection. 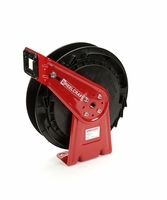 Our reels range from 250 psi to 350 psi and come in varying sizes to fit any task and any environment. 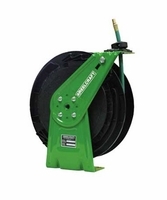 We offer Reelcraft hose reels with and without hoses, so you can always find one that's best suited for your work. 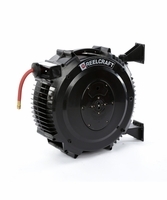 When you buy Reelcraft hose reels you're not only buying a retractable air hose reel, you're buying top quality and performance these truly are a cut above. 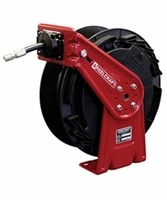 A retractable hose reel by Reelcraft is the best-in-class reel on the market. Reelcraft's key focus is to produce durable, quality products that make hoses, cords and cables more productive, keep them easily accessible and make them last longer. 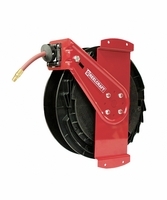 Shop FastoolNow.com for all of your retractable air hose reel needs and start extending the performance and life of your cords, hoses, and cables.